Guys, See in your browser's address bar. Can you find anything change? Choosing the right custom domain will gives lots of benefit to you and to your blog. Increasing blog page rank, high income form advertiser and growing blog popularity is enough to compare as professional blog. Before these 3 days, I installed custom domain to my blog. Now, you can say it as www.hacktutors.info where hacktutors.blogspot.com is older one. I like to sorry for the error one the page for three days. It is taking time to transfer DNS data into new server. Why I take .info domain? There are many simpler reason to choose .info domain by me. Hack Tutors is a blog which gives you the recent information and news about technology, this is one of the best answer. It also gives you tricks, tips and tutorials of many web and online services. 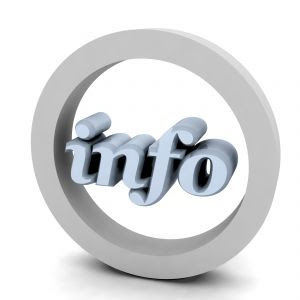 Information domain looks little professional where this is IT generation. So, how do you like our new custom domain? Share views via comment.